Arrow Sewing Cabinets: Boomerang giveaway!!! thank you for allowing this fantastic giveaway!! What a wondeful piece of furniture!! I would be honored to have one of these! Wow, what a wonderful craft cabinet. Any fiskateer would be honored ( and lucky) to win this piece of furniture. I have just the space to put it in. Thanks for your generous contribution! Thank you for being so generous and teaming up with Fisakars! I love all of the sewing and crafting cabinets you have and would love to win the boomerang! Thank you Arrow! OK, whew, I just cleared a space for this incredible give away........how beautiful is this???????? What a cute name too. Thank you Arrow! OK, I think I did this wrong: I was supposed to leave my number on the previous post: I am fiskateers # 6067. So I will try this once again. Thank you Arrow, thank you Fiskateers, for the very cute boomerang giveaway that I hope to win and put in this space that I just cleared. How generous is this? You guys are unbelievable! What an amazingly generous company you are! Thanks so much for a chance to win such a great piece of furniture. Thanks For the oppertunity :) It's awesome!!! SO cool of you to give one away ... love it! Wow...not only designed for a busy person but beautiful as well!! Love it. So generous of you to give it away to a lucky winner! That is such a great piece of furniture! I'd love to win! THANKS for teaming up with Fiskars to give one away! Thanks so much for the very generous giveaway via Fiskateers!! Thank you so much for giving away a Boomerang! It is so awesome and would be wonderful to own! This is a fantastic opportunity-thank you so much. Your generosity is incredible. Thanks for being so supportive of Fiskars and the fiskateers. What an awesome chance for one lucky fiskateer. Thanks for partnering up with Fiskars to give away a wonderful cabinet. It would fit perfectly in my craft room. I am bowled over by such great generosity and craftsmanship. Thank you so much for your kindness to Fiskars and Fiskateers. BTW: I'm readying my space to put the Boomerang!! thank you so much for the chance to win a boomerang. I love it! Thanks for letting the fiskateer website give away one of your fantastic boonarangs. I sure would love to win one of those. Thank you for the chance to win the boomerang. It would look great in my craft room! Great boomerang, who wouldn't love one? Thanks for letting Fiskars give one away. Great boomerang. who wouldn't love one? Thanks for letting Fiskars give one away. You guys are so amazingly generous. I'm so totally impressed. I've seen this desk in real life and it's awesome. Thanks so much for giving all the fiskateers a chance at winning it. Woot, woot!!! I hope Olivia isn't jealous with all the attention now being given to Boomerang. What an incredibly generous offer. This is one giveway I'm crossing my fingers and toes to win! 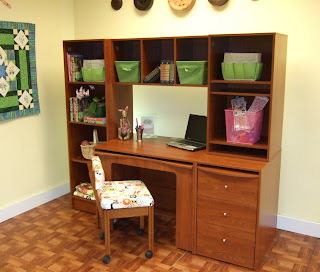 Thank you for allowing Fiskars give one of these awesome desk away on the Fiskateer Site! Hopefully I am the lucky one. Wow how cool are these cabinets!! So beautiful and useful. Ok, I have just the spot for this baby, just send it on over! I am in love! I could use it for my sewing or my scrapping!! It's perfect for anything! I think it's awesome in these economic times that you are offering such a great prize. It's a room within a room and perfect for scrapbooking or any craft. It would be wonderful to win...I can dream, can't I? Wow I love you Fiskateers! Makes your day when you get to read all these nice things. I noticed on the Fiskateers blog Sandy 1781 had a question on how to find the Boomerang on the Arrow site. Sandy is correct it is not there as Arrow also has another brand called Kangaroo Kabinets. The Boomerang is a Kangaroo brand, so go to www.kangarookabinets.com to get all the specs on the Boomerang! Thanks again ladies! This is such an amazing giveaway! Thank you so much for giving us this wonderful opportunity. I'm Shannon, Fiskateer # 4679, and I just wanted to say thank you! THANK YOU! THANK YOU! THANK YOU! You're awesome! I'll be keeping my fingers crossed! Just wanted to THANK YOU again for letting the Fiskateers give one of these AWESOME pieces of delicious furniture away ! What a wonderful wonderful gift and would be SO MUCH FUN to use and fill !!!! Your generosity is deeply appreciated indeed !!! I can't believe it! It is so beautiful and I NEED it! Thank you so much for doing this for the fiskateers! You rock! Thanks so much for offering such an awesome product to a lucky fiskateer. I scrap in the corner of my living room and the boomerang would looks so much better than my little old table and my pile of supplies! This is a brilliant piece of furniture! Hope it ends up in my home...lol. Thanks for offering one up to a lucky Fiskateer. Thank you so much for being so generous. I can't wait to get started on the challenges. I would love to have this end up in my home. It's just what I've been looking for. thanks for the great giveaway with your wonderful product and linking to Fiskars. Thanks for sponsoring the giveaway for all of us Fiskateers! It would be a HUGE improvement over my current workspace!! This is a beautiful cabinet !!! Thanks so much for your generous contribution to us Fiskateers. I would love to win this and sew in style. I love sewing and have sewn since I was in Junior high school all the way through to now. I will sew wherever I can find a spot. I'm keeping my fingers crossed. Thanks again!!! Thank you for working with Fisk-a-teers and for giving away the Boomerang cabinet! I've been sewing on an old desk that is far too small and this cabinet would be perfect in my sewing room! Wow! Thank you Arrow for teaming with the Fiskateers and providing this beautiful unit! I've measured and I have the space;- )! Oh, if I could only be so lucky! Thanks so much for sponsoring! Your product is awesome and I would love to add it to my craft room. Thank you for the opportunity to win such an awesome prize! Oh how beautiful it is, I feel a lil more organized just looking at it! =) THANKS again for the chance to win! What an awesome piece of furniture!! I think it is fabulous that you are having a boomerang give-a-way! LOL it would be even more fabulous if it ended up in my craft room! This is a wonderful way for you to get the word out for you furniture! I hope your builders can keep up! PS - OMGoodnes! You guys are in Elkhorn! I'm in Cedarburg, WI now, but grew up in Beloit... We have weekend scrap weekends at a B&B in Broadhead, ... my sister has a house in Delevan.... So I'm driving through Elkhorn all the time! HOW did I not know about your company sooner!? WOWZER waht an awesome giveaway.IT would look so incredibly beautiful in my sewing.TX for your generous offer! I found out that it is difficult to find a functional AND beautiful craft furniture. You guys (and gals) and have it all! Great job! Thank you for sponsoring the giveaway! What a great cabinet. Thanks for the chance to win this. Thanks so much for this fantastic chance. Fiskateers and Arrow rock!